The secret of their Parma ham? Patience, the ability to wait, the delicate use of salt, let the thighs dry and take care of them every day. Cut thin, but not too much, you will taste a sublime, sweet and soft product that melts in your mouth. This masterpiece is born and grows by the skilled and expert hands of Brunetto Quagliaroli. in the mountains of Parma in the Apennines, about 20 km from Langhirano, you will find a small village called Corniglio, near the Roman Bridge, where the Parma torrent joins, the F.lli Boschi company is located. It is a family tradition company, where everything is done only with passion, in fact the product must be taken care of every day. 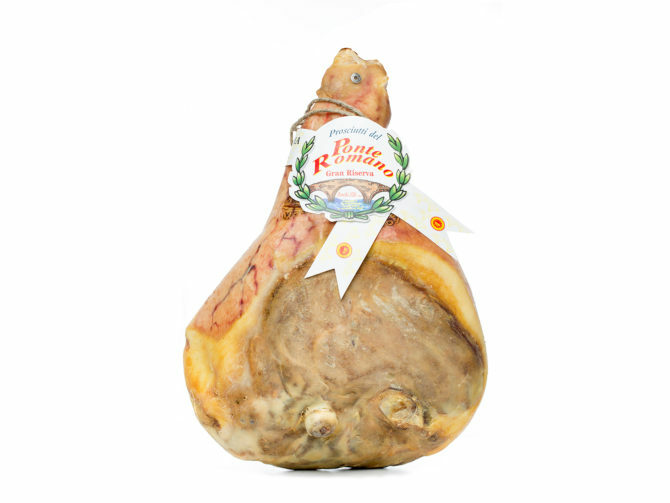 Parma Ham is an extract of health, made only with pork, salt and its only secret, the air, goes down dry from the mountain and gives the meat its typical aroma and characteristic sweetness. What luck, Langhirano, the heart of the production of Prosciutto, located at the foot of the hill that climbs up to the ridge, about 1600 – 1800 meters, from there descends a magical air essential to allow patiently to dry and cuddle carefully selected thighs.